The following post is Part IV of our series: “Meet the Makers” tracking the production process of Avani’s indigo from seed to scarf. For more information about the series and an introduction to the Avani blog, see our first post. Godawri has been working with Avani for one year. She is from the small village of Tripuradevi (where Avani's campus is located), and has two grown-up daughters and one son. Godawri is the only member of her family with a consistent source of income. red spinning wheels. 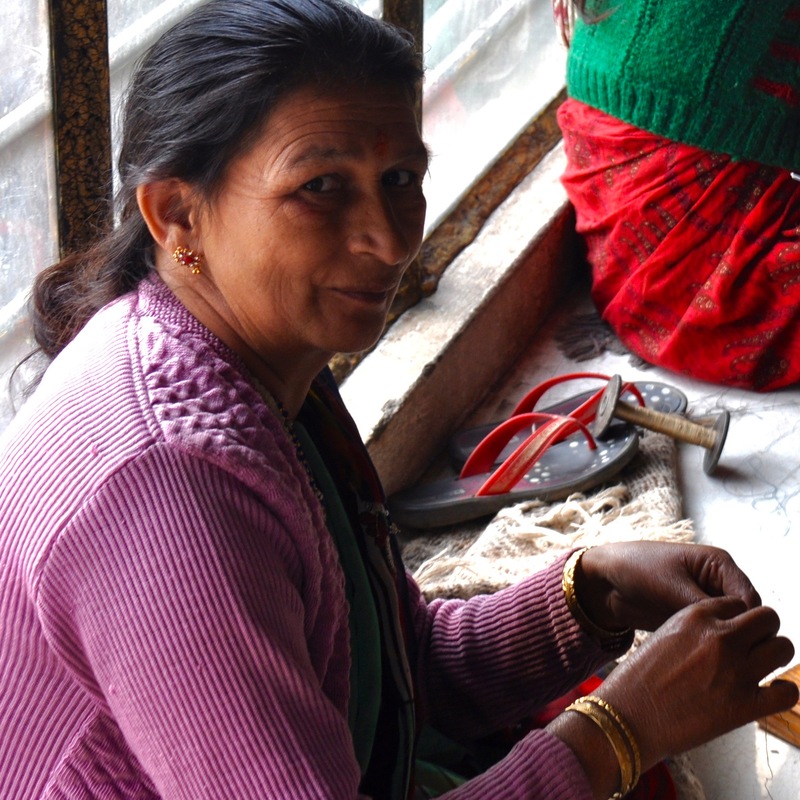 This allows women to produce significantly more thread in less time, increasing their incomes. Godawri comes to Avani's spinning and weaving center every day, and she greatly enjoys spending time with the close-knit community of women there. Chatting with women at the center, Godawri enjoys not only a source of income, but also some precious socializing time away from men and attention-demanding children. Check back tomorrow for Part V: The Weaver.